We're finishing development of the new v6 version and we wanted to give you a little preview of its main features. We know many of you are expecting it and we said in the last blog post that it would come around April. It's going to take us a few more days but the main features are already developed and so we're nearing completion. Subprojects (or project hierarchy) is one of the top three most demanded features of Team Password Manager. 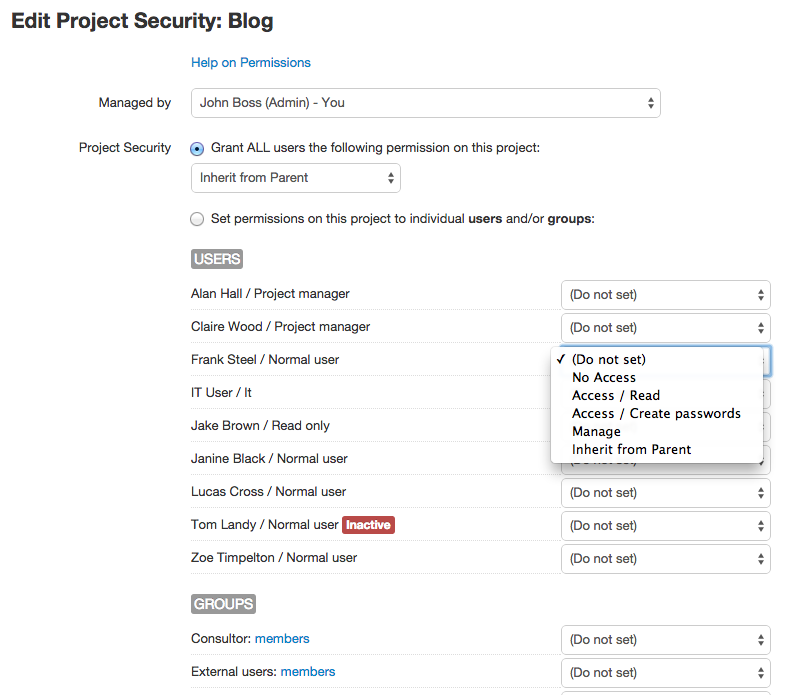 You're going to be able to create projects within projects to even better organize your passwords. We haven't placed any limits on the number of levels so you'll be able to create the structure that better suits your needs. In the tree mode tabs have disappeared and instead you have a tree on the sidebar to filter data. We're still maintaining the "tabs mode", where you can see all the information in tabs as in the current version, but if you're using subprojects you'll work better in the "tree mode". Grant manage rights on a project/password to more that one user or group. Inherit permissions from the parent project. 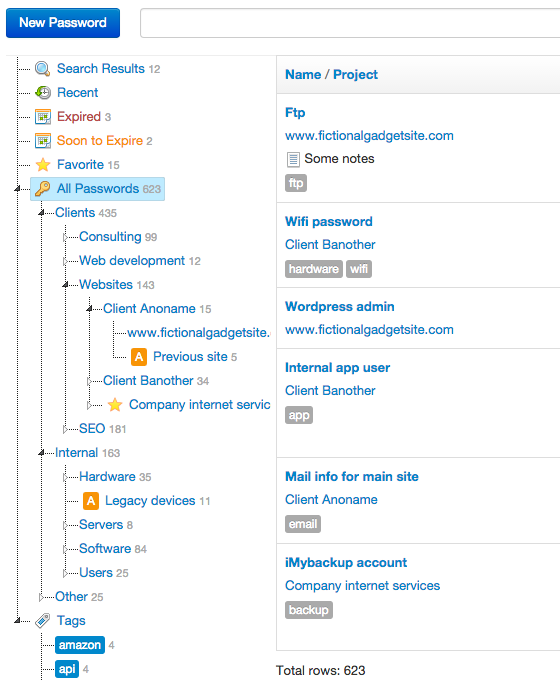 Explicitly revoke access to a project/password to a user/group. New permission on passwords: "Edit data", so that a user/group can only edit the password data. External sharing can be disabled globally by the Admin. There are more features in the upcoming v6 version but these are the most important ones. We expect to release it in a few days as we complete some last minute details, finish testing and get testing results from beta testers, and finish the documentation. Subprojects and the improved permissions system have made a big impact on the internal (and visual) structure of Team Password Manager and we want to make sure we release a robust version, so we're doing as much testing as we can. Thanks to everyone who has contributed with ideas. Stay tuned!